De Mantona Kaleido-serie biedt fotoproducten met eersteklas functionaliteit, gecombineerd met een aangenaam gevoel en een kleurrijk ontwerp. The mantona kaleido series offers photo products with first-class functionality, combined with a pleasant feel and colourful design. Colourful but, of course, in high-quality and with extra features! 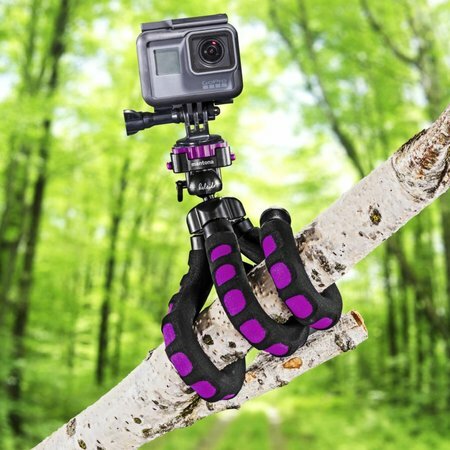 The kaleido flex tripod is the ideal companion for fixing your camera to almost any object. 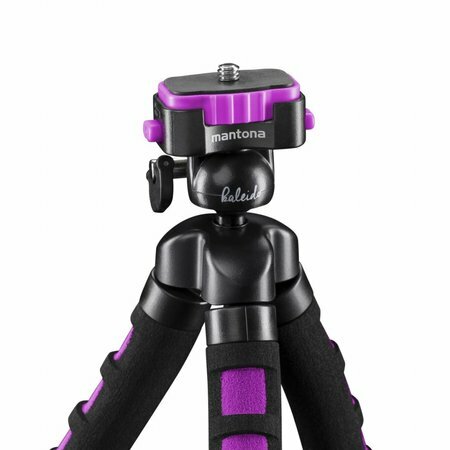 The flexible tripod legs can be bent, wrapped or folded so that your photo equipment can be attached to almost any object. Whether rails, branches, the edge of a wall, tubes, rails or chairs  with its flexible, adjustable legs, this flex tripod can be attached easily and securely in almost any angle. With the 360° rotatable ball head, you can make any adjustment in a trice. The high-quality and easy-to-remove quick-release plate combines the utmost in quality and is really easy to use. When used as a table tripod, the kaleido cuts a fine figure. 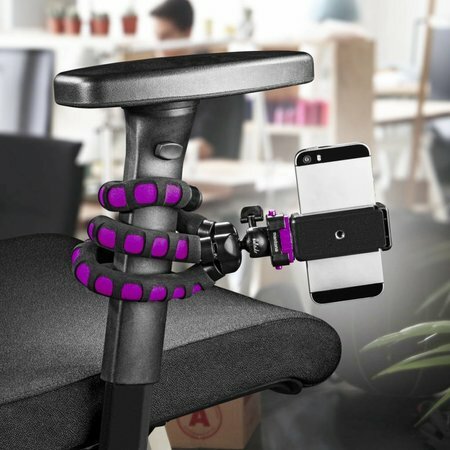 Thanks to the steady legs and non-slip rubber feet, the kaleido flex also be used as a table tripod. Kaleido flex can be adjusted to a working height of 10 to 27 cm. 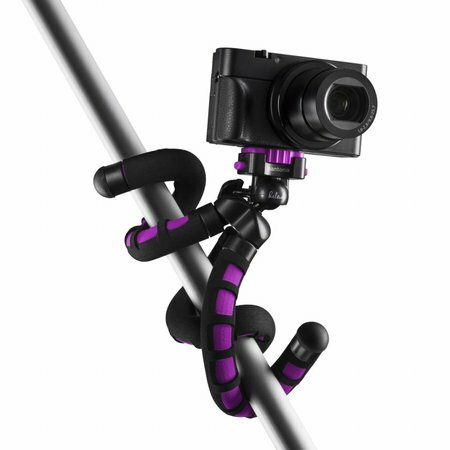 Using a 1/4-inch connector, you can attach light to medium-weight compact and system cameras, DSLR, DSLM and camcorders weighing up to 1.2 kg. 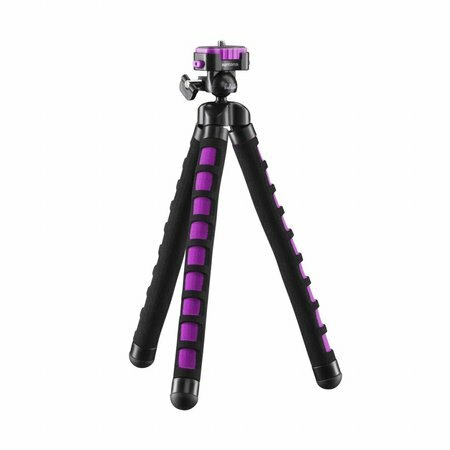 The kaleido flex can be used as a hand tripod and facilitates and stabilises your shots, whether for shake-free videos or detailed photos. The kaleido flex can, of course, also take smartphones and action cams. Separately purchased GoPro adapters or smartphone mounts can be attached quickly and easily using the 1/4-inch thread connector. Successful photos and videos bring all your memories back to life. Kaleido can be taken everywhere with you, making it an attractive companion for the world of photography. Choose from a range of 6 original colours far from the conventional same old hues.